Clyde, a Democrat, is a state representative from Kent who has a long resumé in election law and has been called one of the most qualified candidates for secretary of state in Ohio history. While in law school, Clyde was a student researcher and analyst at OSU’s Election Law Center. 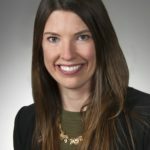 She also served as a law clerk for the Ohio Secretary of State and the Ohio Senate and earned a summer fellowship at the Brennan Center for Justice at New York University for the study of election law. During the 2008 Presidential election, Clyde served as an election official with the Franklin County Board of Elections, overseeing the set-up and operation of the Franklin County early voting center. Clyde has spoken on election law issues at the Ohio State, Capital University, Stanford and Harvard Law Schools. She said that paper ballots are more secure because they provide paper records. “There are a lot of risks associated with voting on electronic machines where the vote is electronically recorded rather than on a paper ballot where we can see it with our own eyes and we have something to hand count,” she said. The other serious problem facing America is the hacking that we’ve seen go on in our elections. Clyde has a four-part plan to introduce in the coming weeks, she said. First, she would require there be a director of cyber security at the Ohio Secretary of State’s Office. Second, Clyde wants to establish a Cyber Security Council that would advise that director and the secretary’s office. It would be made up of both public sector and private sector cyber security experts, she said, as well as voting advocates and election officials. “This way we can make sure that the best and the brightest are the job helping us protect our elections in Ohio,” she said. Third, as mentioned, she would require that counties move to a paper ballot system whenever upgrades are made. Finally, she said, the office would require that audits of all paper ballots be performed after each election so officials know county equipment is working properly and voters can be confident that ballots are being counted properly.